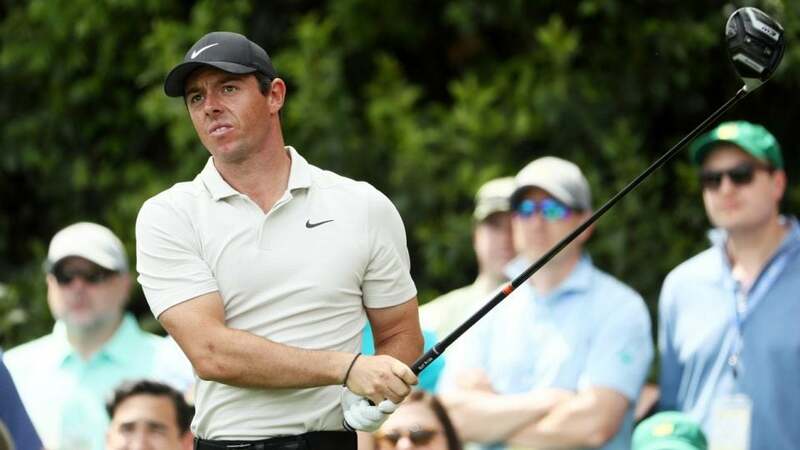 Rory McIlroy tees off during the second round of the 2018 Masters. After two action-packed days at Augusta National, the weekend awaits at the 2018 Masters. On Friday night, the Masters field was whittled down by way of the cut to just 53 players who will get to play the weekend and fight for the green jacket. The top 50 players, including ties, as well as all players within 10 shots of the lead make the cut and play the third round on Saturday. With leader Patrick Reed going low and reaching nine under, no one out of the top 50 and ties made it this year. Tiger Woods and Phil Mickelson did make the weekend, though narrowly. You can see the full tee times and pairings for the third round below.